Hunter released a new system of microirrigation products. New additions to Hunter’s Micro lineup include PLD-LOC fittings which fit ½-inch tubing/dripline between 16-18 milimeters; commercial-grade IH Risers (flexible PVC); Multi-Port emitters for commercial PVC systems; Mini Landscape Dripline, ¼-inch Polyethylene and Vinyl tubing, ½-inch Polyethylene tubing, rigid risers; and an Eco-Indicator that shows when the drip system is functioning. 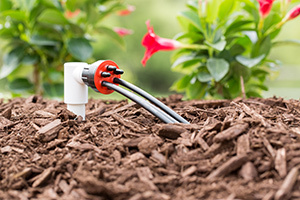 “No matter what type of microirrigation project you have, you can get everything you need from Hunter,” said Robb Kowalewski, Hunter product manager. Hunter’s microirrigation products are designed for commercial use. Many of the new components are available in brown to blend into the landscape, the company said.